Tough, lightweight polycarbonate casing with 6Ah Li-Ion battery that lasts 1.5 hours at 2300lm and recharges in 3 hours. 3 light levels 2300lm, 1380lm, 800lm. Turn on/off within 2 seconds to change light level. Includes mains charger and USB lead. 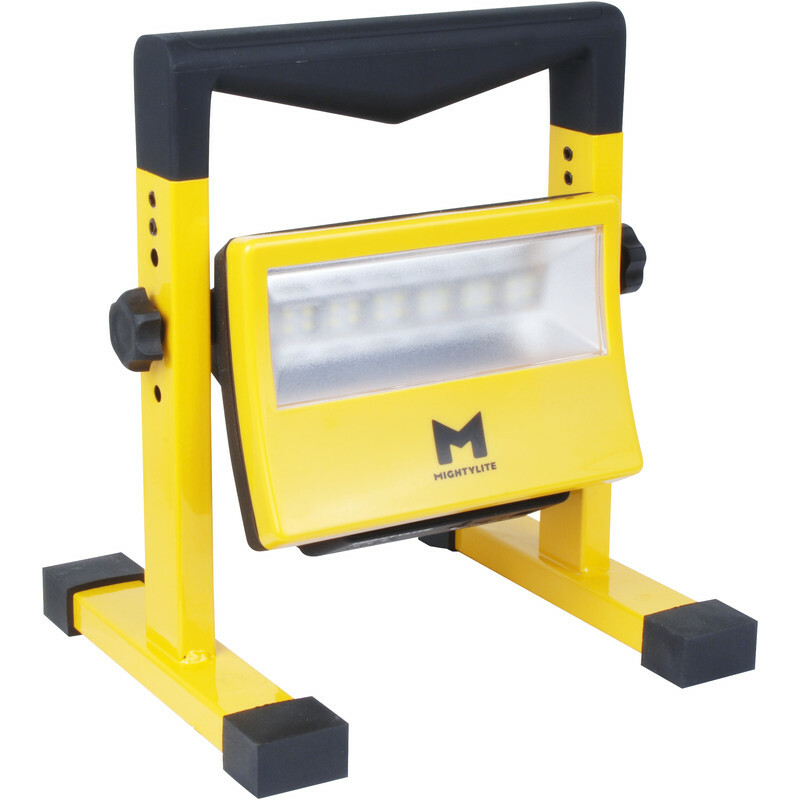 LED Rechargeable Work Light 2300lm is rated 1.0 out of 5 by 3. Rated 1 out of 5 by Morph75 from Absolute Rubbish Comes as a box of bits, once assembled it is flimsy and doesn't feel like it will last 5 minutes. Oh and there is no lithium battery in the box so I'll have to take more time out to return to store for an exchange, I will be exchanging for something else. Rated 1 out of 5 by Ennis of the Beeches from Light what light Bought one as I had already got a rechargeable light but this one you could add a bigger battery for longer life. Unfortunately had to take it back as it didn't charge properly. Got a replacement and it was just the same. Would not recommend.